One of my biggest comfort foods from my NYC days was Pho, delicious Vietnamese soup loaded with beef and hot rice noodles. I’d pick up a carton of it from a deli and curl up at home on a cold night with a big, steaming bowl of it. I’m sure they serve it somewhere here in Nashville, but since I’ve been on Phase 1, I’ve been looking for delicious, filling fare with no rice or rice noodles (a staple of Pho!) so I decided to create my own. 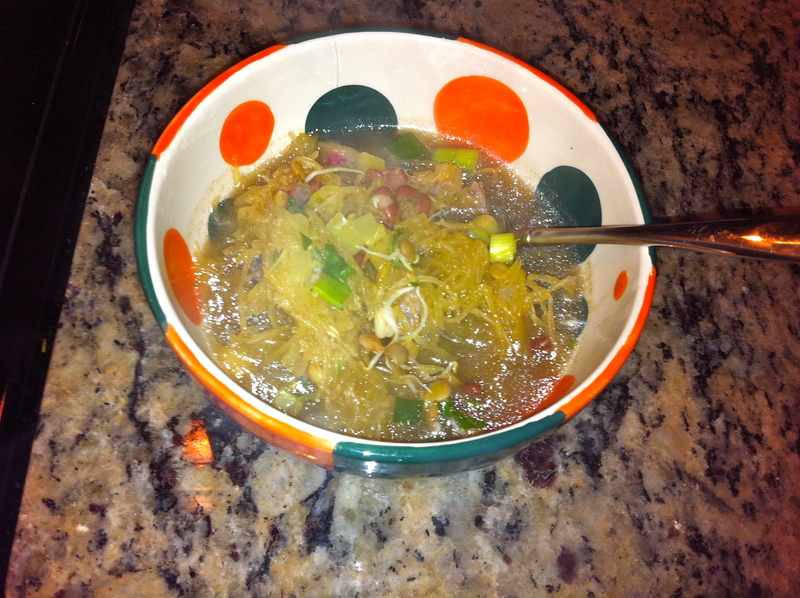 It’s not just like traditional Pho (you can learn more at PhoFever), but my Faux Pho certainly captures the essence of this comforting soup! It’s perfect on a rainy day, but is pretty darn good anytime. Enjoy! 1.) 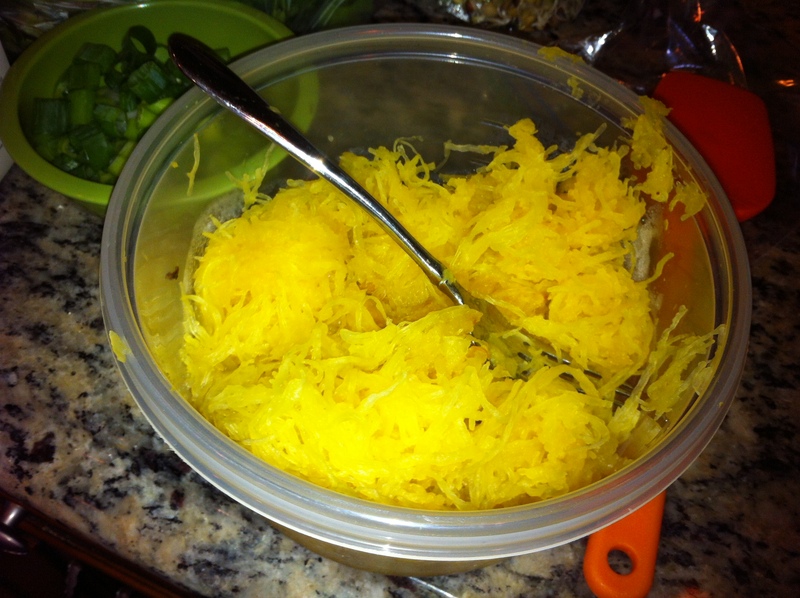 Cut each spaghetti squash in half lengthwise. Scrape out the seeds and place each half insides down on a cookie sheet. Bake at 350 degrees for about 20 minutes or until insides are soft and scrape out easily. Scrape the squash’s insides (which will look like noodles) out into a bowl and set aside. 2.) 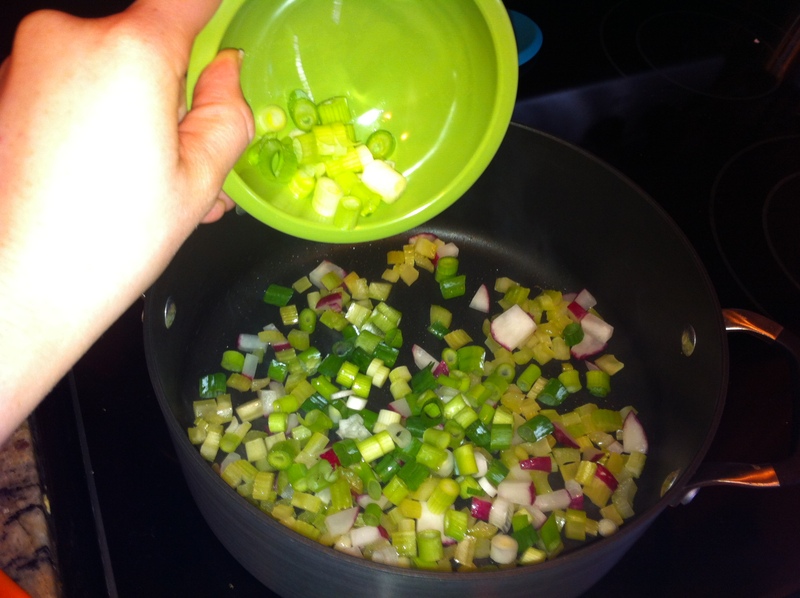 In a large stockpot, lightly brown radishes, onion, and celery until they begin to soften. 3.) Add in the Pacific broth and bring to a boil. 5.) After about two minutes, drop in thinly sliced bits of flank steak. Stir a few times and then serve piping hot! 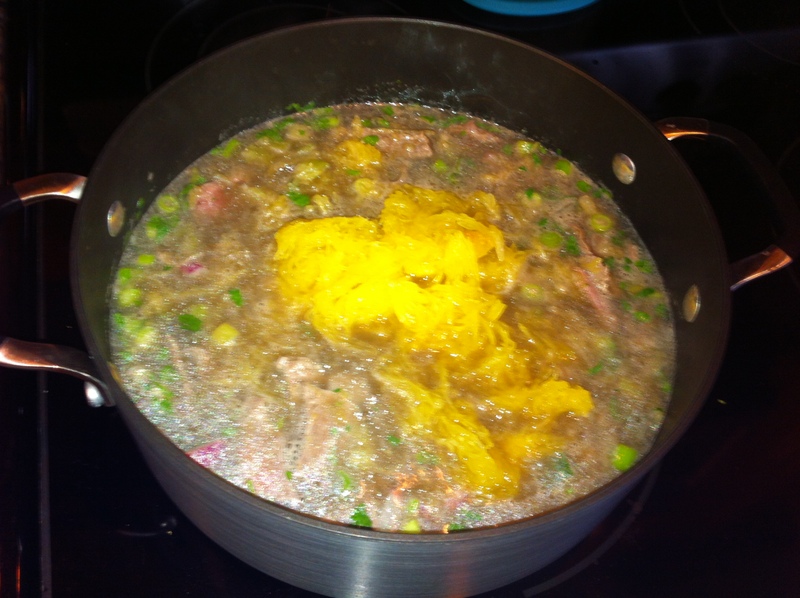 This entry was posted in celiac, gluten-free, Phase 1, recipes by mollykhodgin. Bookmark the permalink.